Yes they did! Unlike the whole modern line of Falcons since ’95th till ’07 🙂 Cool one, Niktom! 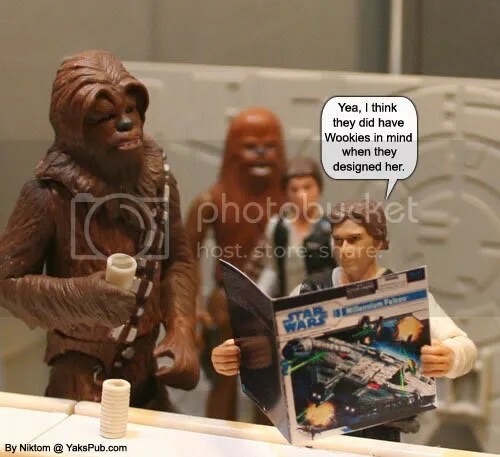 lol yeah, the cockpit is finally big enough for a Wookiee!